On March 20 1991, Madonna’s Madonna VHS video collection was certified multi-platinum (100,000 units) in the USA. 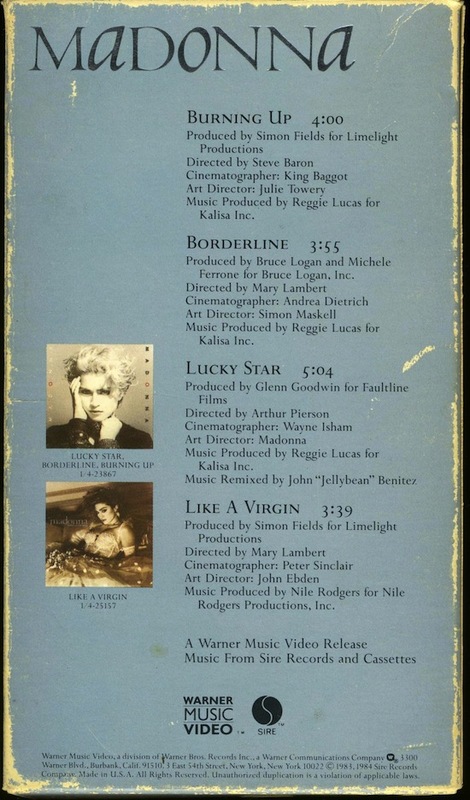 The home video included Madonna’s music videos for: Burning Up, Borderline, Lucky Star and Like A Virgin. Burning Up, Borderline, Lucky Star and Like a Virgin-Four crucial early chapters on her way to art and brilliance! Madonna Forever!